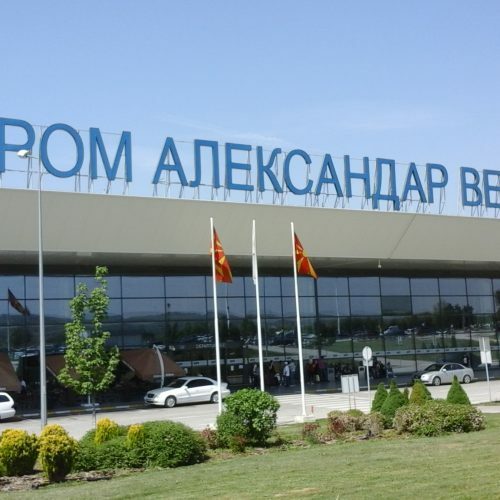 ✅ Trip Verified | I experienced the best customer service at Skopje Airport. During security I found out that my phone was missing. I left my phone at the selfservice check in machine on the other side of security. But they helped me out! They called their colleagues and eventually found it, brought it back to me. I felt trustful through the whole process and really really het. Thanks a lot!! ✅ Trip Verified | The safety control was awful because of the security staff working there. We had a bottle of alcohol in our bag which they informed us was not legal to take on the plane. We were trying to decide and view our options, and there was nobody else around so there was no rush needed. While we were discussing and questioning our options one of the staff tried to throw away our bottle without even asking us, and when we stopped him doing so other guards got included and they were being aggressive and tense for no reason at all. We were right in front of them, there was no way for us to sneak in and yet they acted like we were guilty of something. We tried to communicate like civilized beings but their response was yelling and being aggressive. In the end they threw it away, not allowing us to check it in our baggage. Totally ruined our moods and travel with their unnecessary rudeness and behaviour. Apparently they were waiting for us to offer them money but we did not want it. Wish there was anything that could be done. Do not recommend. 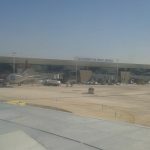 "a disgrace how they treat people"
✅ Verified Review | The airport staff are extremely rude and imperious! On checking in the agent made me walk approx. 100m with heavy bags, although the passengers lanes were not clearly defined and absolutely nobody was in front of me in the queue! They don't really understand what is customer service by it's definition and very far from understanding that they are there to help not to humiliate people. Very far from some internationally accepted standards! It's a disgrace how they treat people. I don't think that I will fly there again. 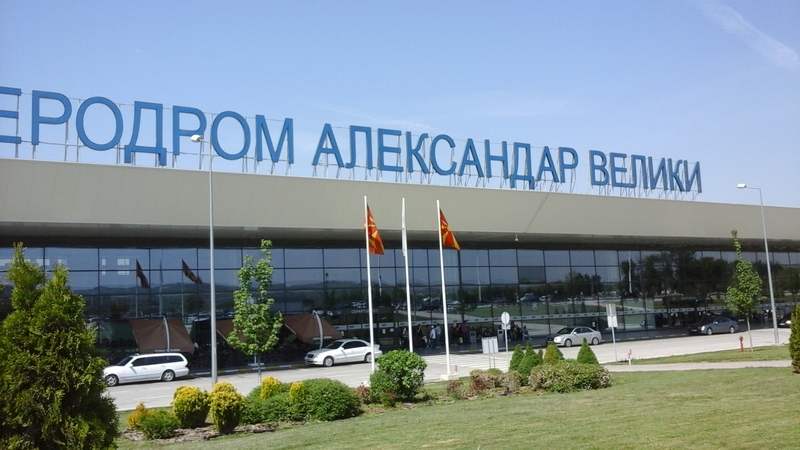 It's better to fly to the nearest airport rent car and visit Skopje, if you really have to. "small yet very well organized"
The airport is small yet very well organized. There is every service available that a person would require even for a long wait - restaurant - ATM's - banks - PO - as far as airport seats go I was able to sleep on these in more comfort than others. I've been through many airports and can honestly say that I'm impressed. 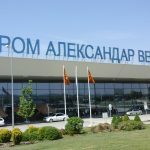 ✅ Verified Review | Skopje is a small airport but quite spacious, you can see that there are not many people flying international. But there are some coffee shops, burger king and car rentals. The only shuttle bus goes every hour. The toilets could be cleaner, they were dirty even, when there weere almost no people. "smallish airport with limited facilities"
A smallish airport with limited facilities but clean and comfortable. The new terminal is just a large barn. A few shops and very little duty free. Airport staff disinterested rude and officious. Border police just as rude demanding some sort of photocopied form from me which I did not have. Yes I do speak Macedonian and I still could not work out what he was after. Just as well we were leaving. Major improvements since the opening of the new terminal. Access to the airport is easier off the new freeway interchange and the car park has plenty of bays available. The terminal is spacious with the check-in counters and ticket offices conveniently placed. Check-in ran smoothly as did immigration and security. Burger King and a couple of cafes in the departure area as well as decent duty free outlets. Plenty of rest rooms VIP lounge and seating at each gate. The queue at the departure gate was a little disorganised and time consuming however the new aerobridges make the walk to the aircraft a whole lot easier. Looking forward to my next trip there. 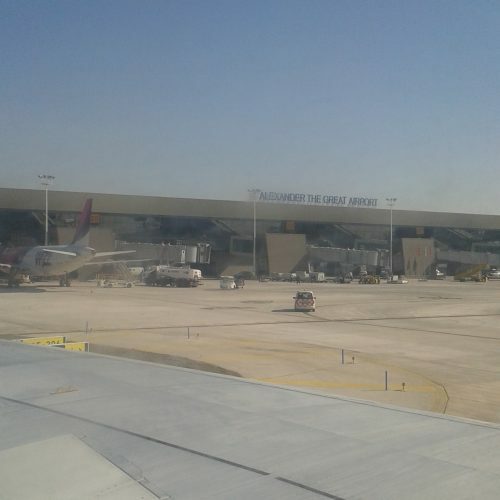 The completely rebuilt airport was opened in 2011. I have flown there twice since and am impressed with the new building! Large departure/arrivals waiting area a nice cafe/restaurant with food and beverages (well priced) a couple of shops and an enormous parking lot. They just built a brand new interchange for the highway as well (located right on the main highway). They just opened a new City Bus route that travels to the Airport from the centre of Skopje and also the city bus and train station downtown. In the gate area there is a "Beer Garden" cafe a Burger King and two Duty Free Shops nicely equipped with a large Macedonian Wine section. The building is clean and staff are efficient. 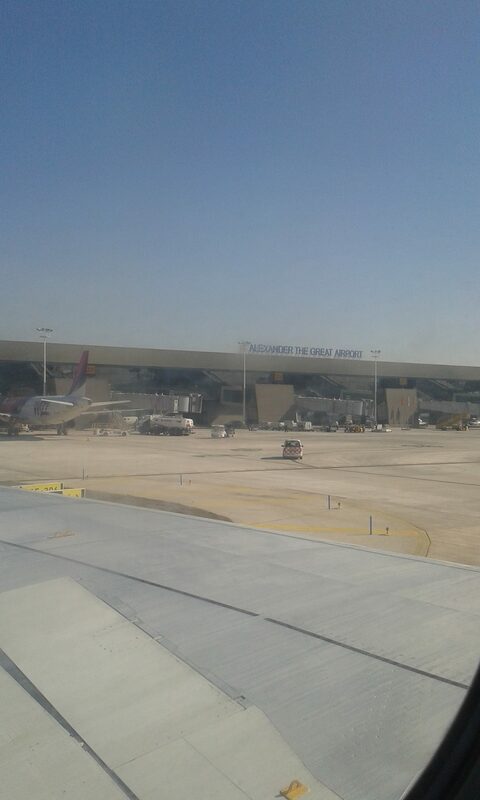 It's a pleasure flying to and from this new airport! Skopje airport seems to be smaller than some big railway stations. A handful of counters half a dozen gates. Accessibility by car is great - the parking lot is face to face to the terminal. Shopping and catering is limited but handling passengers and baggage is quite efficient. Hardly surprising so it is a really small airport with just a small number of flights to handle. Immigration can be somewhat weird - please do not chat loudly to your travel companion while standing in the queue for the counter! Entering or leaving Macedonia is a serious official procedure which dignity should not be disturbed by chatting travellers. - Important: do not rely on taxi drivers' hotel recommendations! You will get a nasty overpriced hotel room while your driver gets a nice commission from the hotel owner.